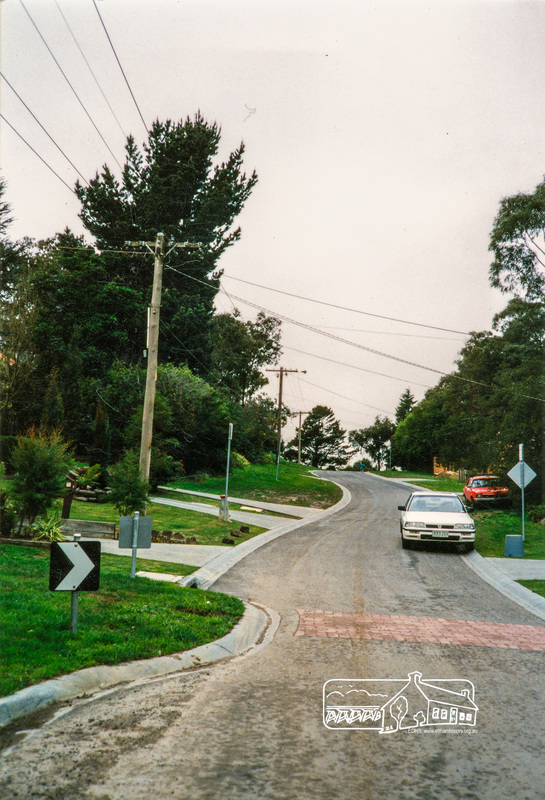 Walsh Street | Eltham District Historical Society Inc.
New speed calming measures, somewhere in the Shire of Eltham, c.1989 (from the collection of Eltham District Historical Society). 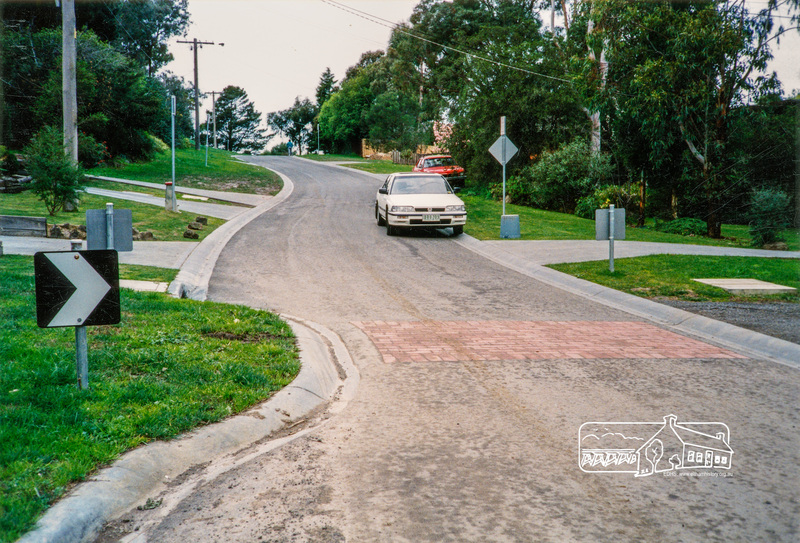 #MysteryMonday – Today’s image is again of a residential area; once again featuring the new speed calming devices introduced by the Shire of Eltham, circa 1989. These residential roadscapes can sometimes be the hardest to solve unless you are familiar with the road. Given the level of success achieved so far, only two MysteryMonday posts remain unsolved since we started, we think this is a great way to assist us reducing our catalogue backlog. Can you identify it? We’d love to hear from you; your thoughts and suggestions as to where it is and help us catalogue this image. Over to you . . .